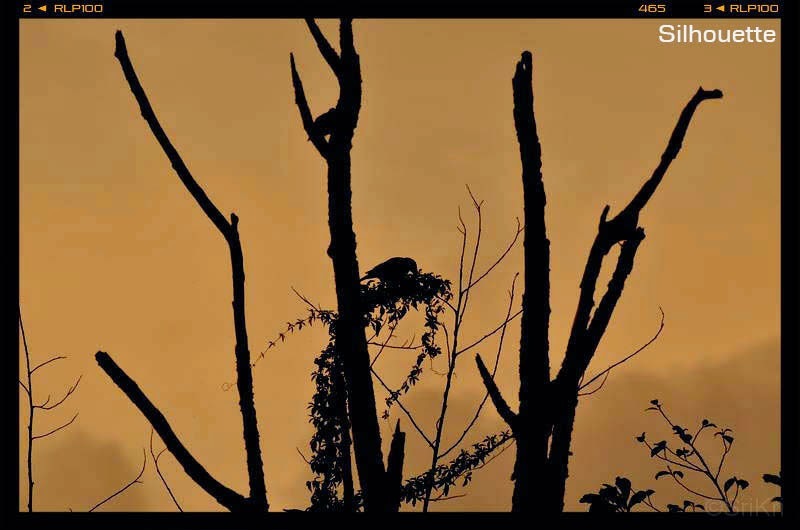 Neelambur - Rs. 31. This paid toll is extended to other 3 Toll plazas. Started from Bangalore at 5.30 pm. The roads are pretty good along NH7. Between Hosur and Krishnagiri there were road construction happening. Hence road was not in good condition and one can expect slow movement of the vehicle. If feeling hungry, one could find a decent vegetarian hotel A2B and Saravana Bhavan near Krishnagiri. We took right turn after Thoppur toll and headed to Mettur, reached at 8:30 pm and had night halt at Mettur. 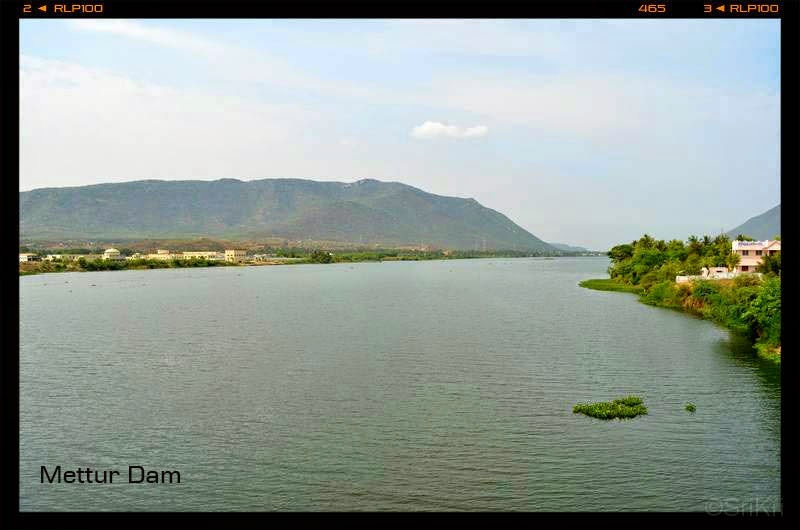 The next day morning we started at about 9:15 and crossed Mettur Dam and Bhavani (48km from Mettur). We took break near Coimbatore for lunch. After having tasty home made food proceeded to Munnar via Udumalpet. Near Udumalpet, construction (probably road construction) was going on. Due to this there was "take diversion" board and we lost our path taking lot of diversion for few kilometer until we joined the main road leading to Munnar. Even our GPS was confused :). We enter Anamalai Tiger Reserve which is forest area. One has to sign the entry book in the check post and person manning the check post demanded Rs. 50 (it is not official). One has to maintain speed at 30 kmph inside the forest range and there is a signboard saying that the vehicles should not be stopped anywhere in the middle till the forest area is over. 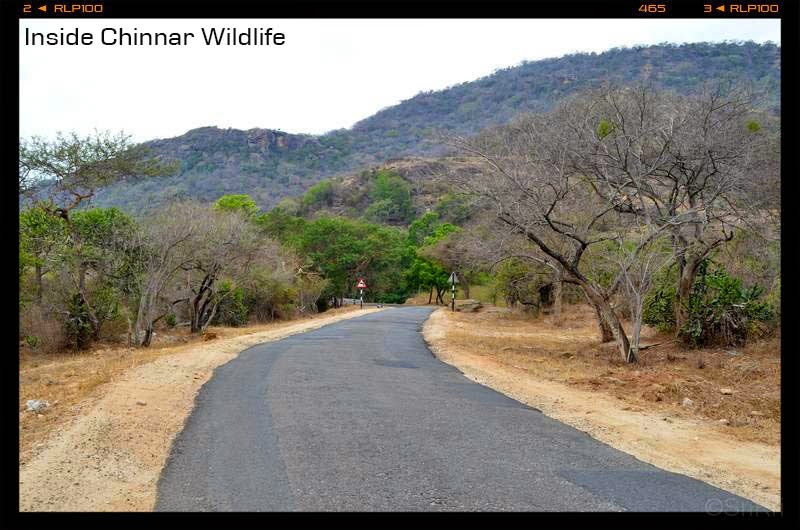 Again while crossing Chinnar wildlife sanctuary we need to sign the entry book and paid Rs. 20 (it is not official). We could not spot any wild animals during our drive. While climbing up the hills, one could feel the climate changing from hot to cool weather. Wow what a picturesque place. 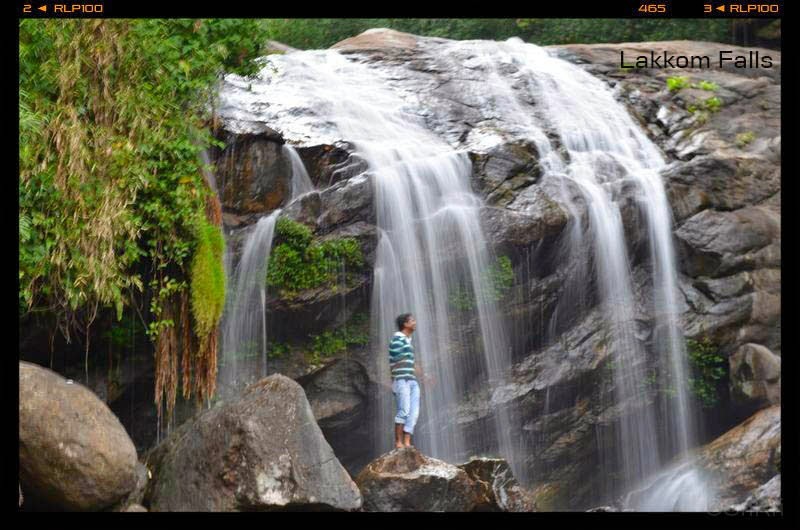 Reached Lakkom waterfalls at about 4.45 pm which is just before 25 km before Munnar, lies a beautiful waterfalls. Went near the walls to view the beautiful cascading waterfalls. If anybody planning to go and have bath in falls, you need not worry and look out for changing dress. They have change room facility. The falls is open between 8 am to 5 pm. En-route to Munnar there lies Eravikulam National park which is about 8 km. We could not make it to the park before the last bus which is at 4:00 pm. Hence we planned visiting this place later. Reached Munnar at about 6pm. After taking some rest at cottage went to nearby Saravana Bhavan hotel and had a dinner. 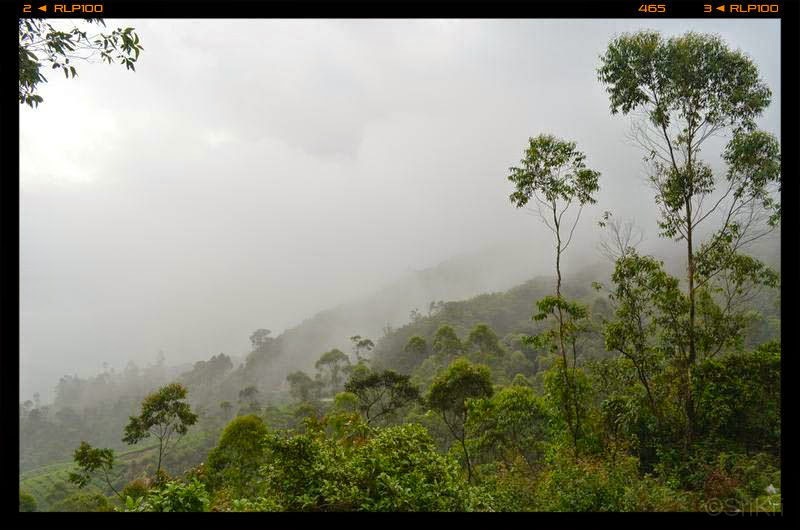 The below lines best to describe the beautiful and greenery Munnar. For pure vegetarians, it is advisable to pack lunch as you will not find any vegetarian hotel on the way. 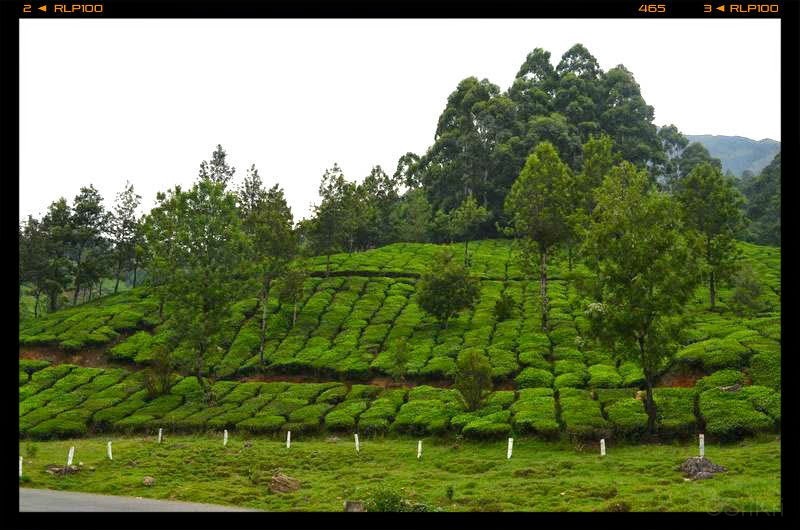 A drive along the tea plantation made us to breathe the fresh air and rejuvenate our mind with the positive energy. What a way to energize our self isn't it? We could feel the gods own country. 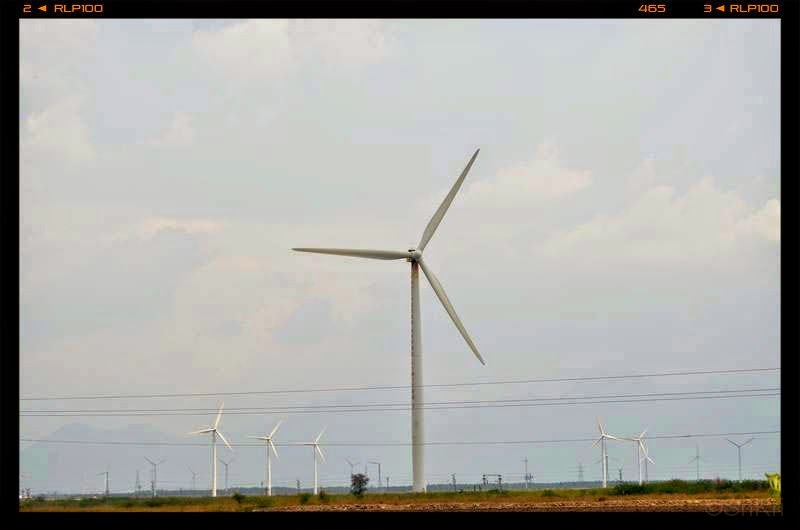 Some of the scenes from famous song "Kashmir main, tu Kanyakumari" from the blockbuster movie Chennai express was shot here. 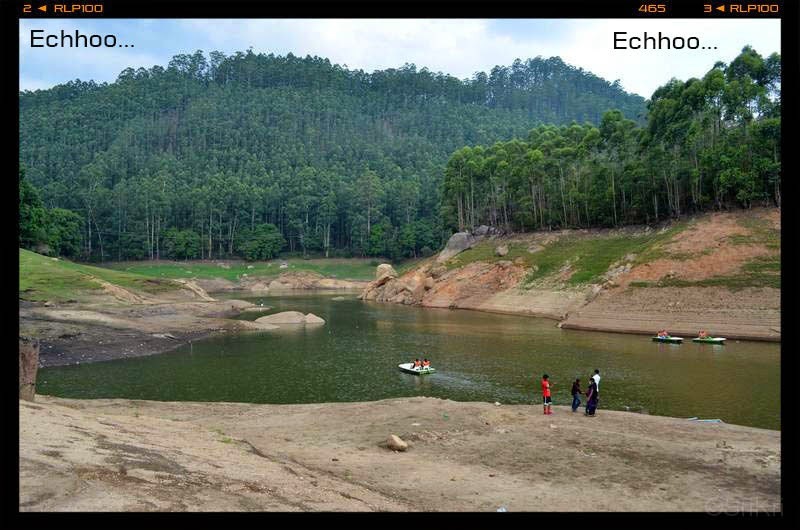 It is around 34 km from Munnar. One has to walk about 1 km to see the Top station from the parking area. The roads are very narrow and it is always advisable to reverse the car and park. Bought the Rs. 25 ticket and went down the hill to see have a beautiful view of Top station. It was covered with mist. Spent about half an hour enjoying and taking photos. Need to wait patiently for few minutes for the mist to clear and have good view. It is said that tea was being transported through ropeway from here. 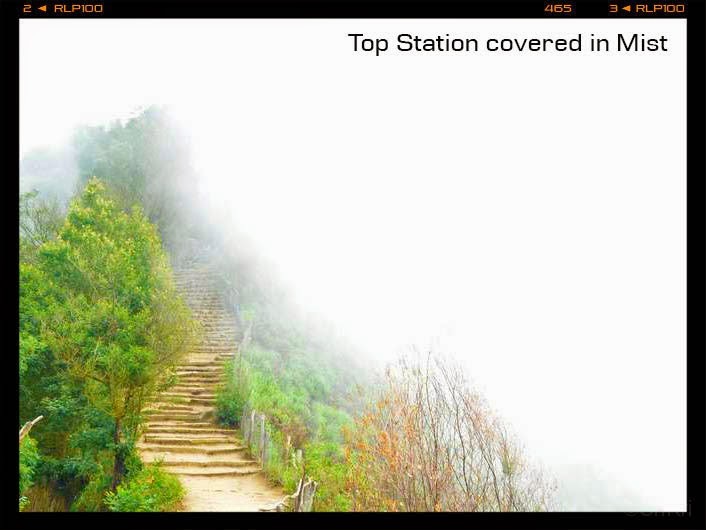 Top station gots its name from the Kundala railway station which is the top most station in Munnar. 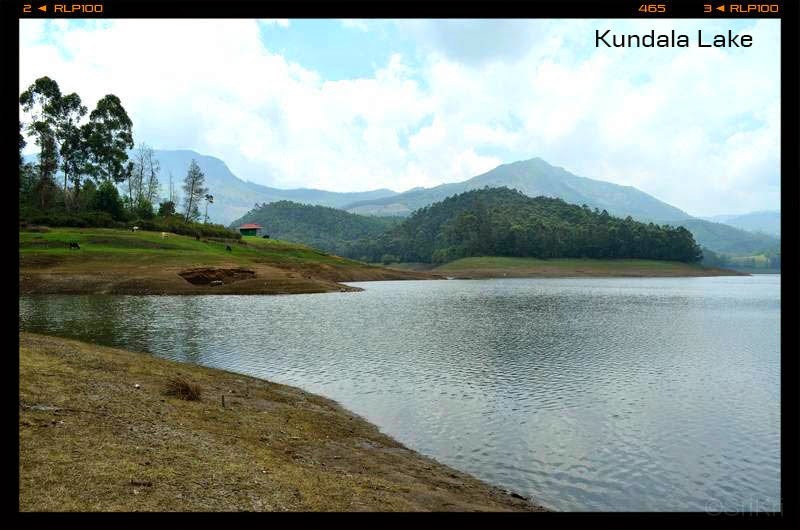 We had nice view of artificial Kundala lake and it is eye-catching with hill as its backdrop. The roads over the dam is narrow. We were eager to go in Kashmiri shikara boat ride in the lake. But to our disappointment the operator said only pedal boats are being operated on that day. We heard that the experience in shikara boat ride is enjoyable. If interested, one can try horse riding and balloon shooting games. A beautiful lake where it is said that when you shout you can hear echo of your voice. Most of the people tried, but hardly heard echo. One could find a lot of shopping here. An enchanting view of the lake with beautiful hills. 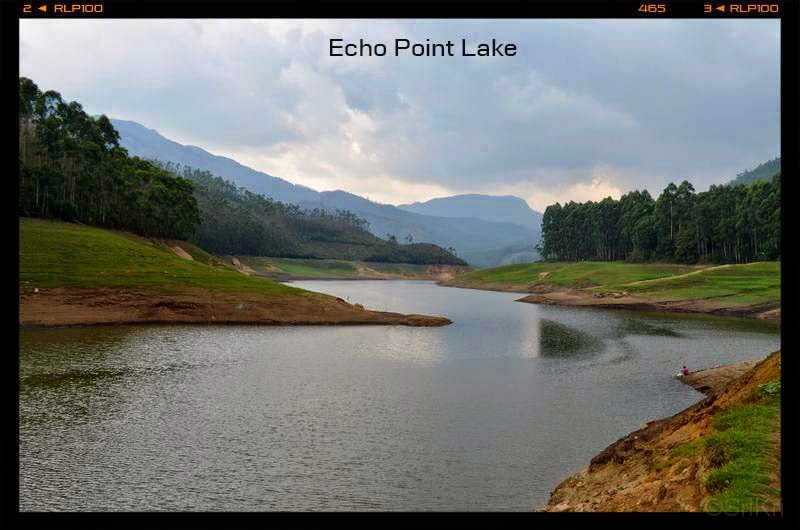 It is located at about 9 km from Munnar. Sure to attract all the nature lovers. 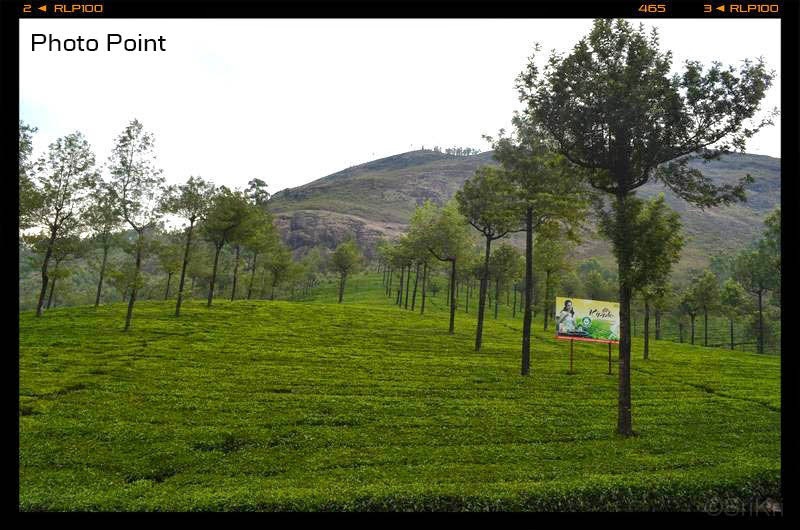 A place where one can take a photos with the beautiful tea estate as a backdrop. Had quick breakfast at Srinivas hotel located at the heart of Munnar. 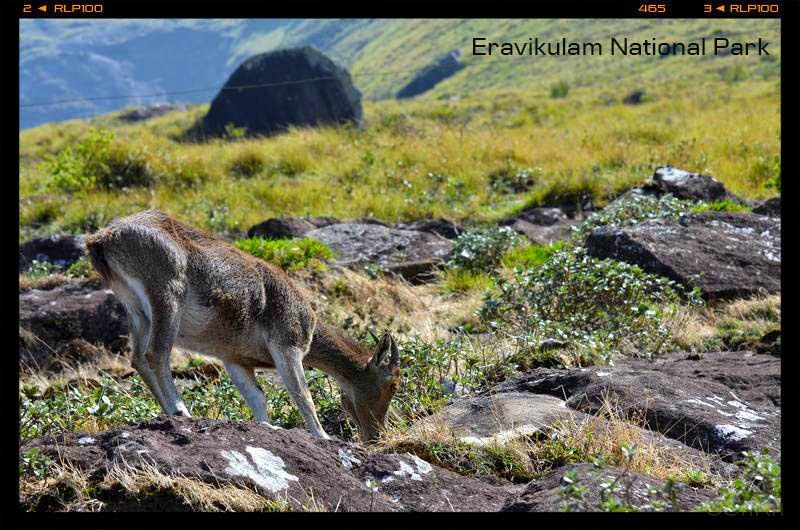 A famous wild life sanctuary that contains an endangered species of Nilgiri Tahr. Reached at about 7.30 am and already there was long queue. The ticket counter opened at 8 am. It is always better to go early to avoid long queue. 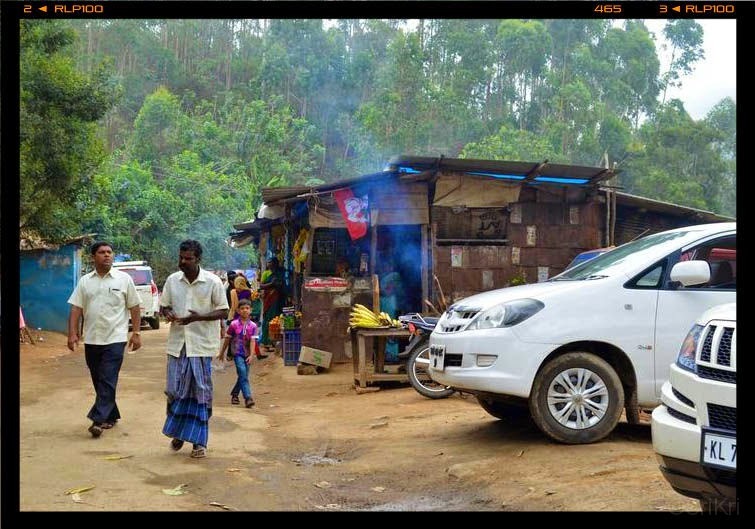 You can do advance booking in Munnar town to avoid the queue. They charge you Rs. 50/ extra. Eravikulam park operates 5 buses that can accommodate about 20 people in each bus. Bus drops people at top of the park. From there people have to climb up the hill to reach top most point. 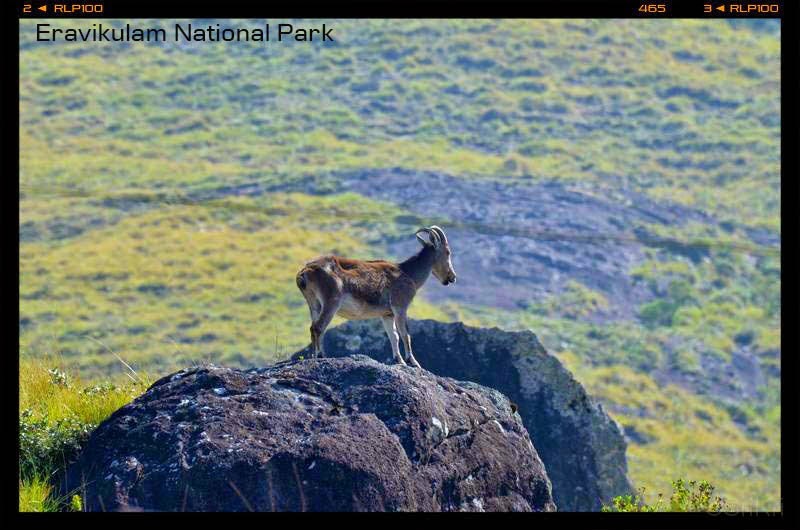 On the way we could spot lot of Nilgiri Tahr. Most of the people got excited and started shouting and taking pictures of the animal. It is advisable not to scream and run behind the animal as people walking slowly would also like to see the Tahr. A rare Kurinji flower grows here and is expected to bloom during August 2017. It is the flower that blooms only once in 12 years. They have put boards with slogan near these plants "once in a blue moon but it blooms". For returning we can take up another forest department bus. Not necessary that you have to go and return in the same bus. We returned back and we could see a large queue for this park. The hill of Munnar was refreshing with greens all around. It is definitely the nature lovers paradise. The ride towards the Munnar is always appear to be a single lane. Always exercise caution during driving. After this we returned back to Munnar and did some shopping in Krishna shop for some spices and tea. 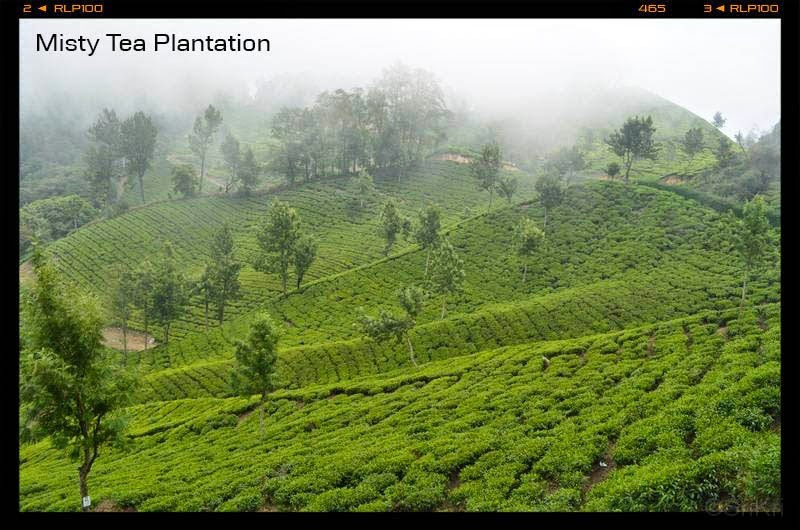 Kerala is famous for its spices like cardomom, black pepper, cinnamon and tea. After this we packed up things and started towards Kumily. If you plan to use a credit card for filling fuel, it is advisable to fill up petrol or diesel and check air in Munnar as petrol bunks do not accept credit card. Rest of the travel in next post.